The 2017 NBA Finals are set to kick off this week, June 2 Manila Time to be exact. To no one's surprise, we are looking at another trilogy, a rematch between the Golden State Warriors and the Cleveland Cavaliers since 2015. 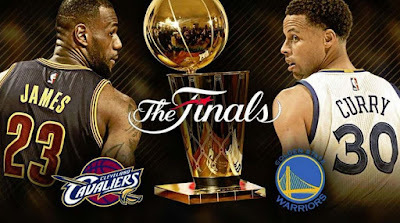 Its their straight three times to meet at the NBA Finals and with finals season score of 1-1 going into the NBA 2017 Finals. GSW acquiring Kevin Durant and JaVale Mcgee, while the CAVS having Derron Williams Derrick Williams and Kyle Korver. New Match up and expectations. The anticipated matchup for here would be Lebron James versus Kevin Durant. Pundits will vote for Kevin Durant, but we won't underestimate Lebron, who surpassed Kobe Bryant in highest score post season. Draymond Green is expected to defend against James, Kevin Love must be the crucial player for the CAVS. Curry must be healthy to drop bombs along with Klay Thompson. Kyrie Irving and Korver will be expected to do the same against GSW. What a number of players to expect to play in these finals. Here we find both teams in perfect health and have shown great games in the post season. Except for Steve Kerr missing the coaching berth in these finals, all else is even. GSW wants redemption from last year's 3-1 loss advantage to the CAVS. This is their motivation. Another motivation is Kevin Durant. He shifted to GSW to win a championship. This is his moment. Meanwhile the CAVS will try to leave a mark as the best team of all time with Lebron at the Helm. 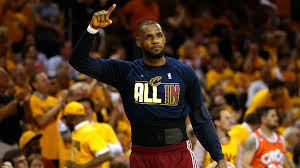 Lebron has won a number of championships already, but he needs to win the finals as returning champions. This will solidify the CAVS as the best team in the land. 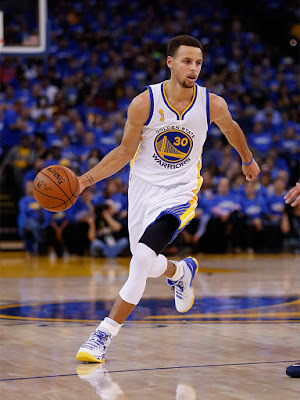 Its a toss up really but most analyst vote for GSW in Game 7. Our office has placed their bets and everyone is looking at game 1. With the game to be played at the Oracle Arena, the home court advantage goes to GSW, or not. Its everyone's guess on June 1, but what we can assure is, this will be one hell of a ball game.